Ever dreamt of traveling back to the early days of America? A creative Florida historian decided to channel her love of the past into a truly unique tiny house. Shorty Robbins created the one-of-a-kind home to help solve a major problem. She is a hobbyist historical reenactor and often attended reenactments of famous Civil War battles, but it was exhausting. "You'd set up your whole homestead -- carpets, furniture, dishes, an outdoor kitchen -- I even used to haul a brass bed with me in my big tent," she said to TODAY Home. Not only was the process long and involved, it was also impractical. Finally, weathering a torrential downpour in a canvas tent was the last straw for Robbins. "I had set up five tents and carpeting everywhere. The rain just kept coming ... and I put a big blue tarp over everything because it all was soaking wet," she recounted. "I caved and said, 'I can't do this anymore, I'm going to have to quit this hobby.'" Instead of giving up her passion, Robbins decided to build a tiny home, an idea she got from her daughter-in-law. Robbins built the home on a flatbed trailer and taught herself how to install all the plumbing. 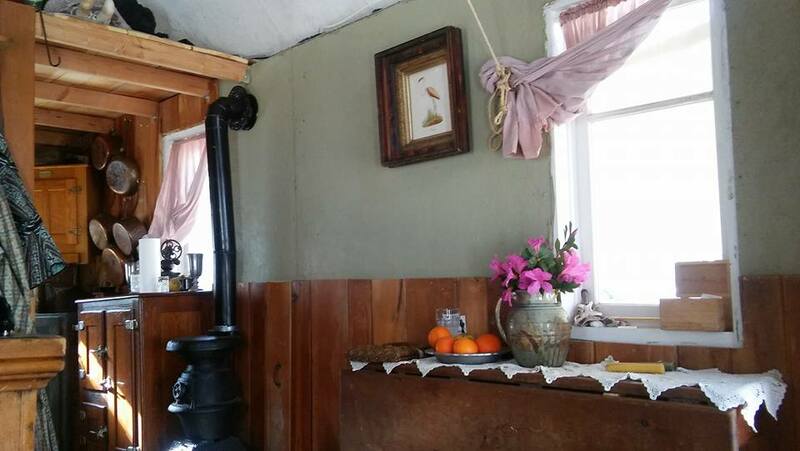 She made it to be as historically accurate as possible, even installing a wood-burning stove. She documented the building process on her Facebook page, where you can see more pictures of her tiny slice of history. She created a bed from an antique piano, and used lanterns, quilts and antiques in the home. A water pump and an antique sewing machine are installed on the front porch. The lighting is provided by lamps that are lowered in order to be lit. Now, when the storms come out during her historical retreats, Shorty just goes inside her cozy tiny house and waits it out.